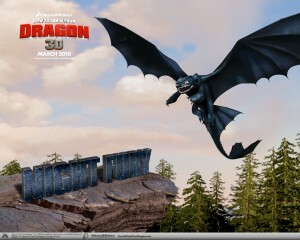 Am I the only one to have noticed the similarities between the Night Fury dragon and the CIA’s Predator drone aircraft? Drones, which have been deployed by the United States in northern Pakistan, Afghanistan, Iraq, Yemen, and Libya (and by Israel in Gaza), are the main weaponry we deploy against the Taliban and al Qaeda. A fascinating piece in today’s New York Times describes the spread of portable Raven drones–which soldiers launch by hand–and the ongoing efforts to make drones that are the size of small birds, or even insects. 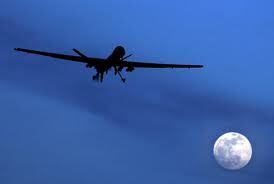 Despite their technical sophistication, drones kill a lot of people unintentionally. According to a 2009 report from the Brookings Institute, in Pakistan about ten civilians die for every targeted militant; a study from the New America Foundation estimated the total number of casualties there from 2004 to 2011 at somewhere between 1,459 and 2,319. Using cameras that beam detailed images to their operators, the drones hang in the sky far above a target, sometimes for hours. Apparently they are sometimes audible on the ground, if not visible; always, they are beyond the reach of low-tech weaponry. According to an article by Jane Mayer last year in the New Yorker, the drones’ operators are usually not in the Middle East at all but in cubicles back in Langley, Virginia. The technician who pushes the button that launches the missile is on the other side of the globe. There is outrage and fear in the tribal areas that see the most drone attacks; the missile strikes have become a major point of contention between the United States and Pakistan. I’d been reading about this around the time I finally watched “How to Train Your Dragon.” And at the end, when the Vikings and their boy hero triumphantly demolish the Great Lair, my mind turned to this: somebody in South Asia or the Middle East is thinking very hard about that cubicle in Langley.